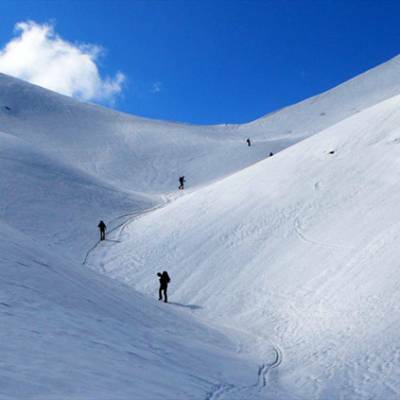 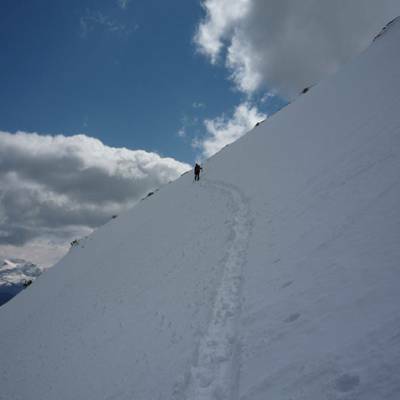 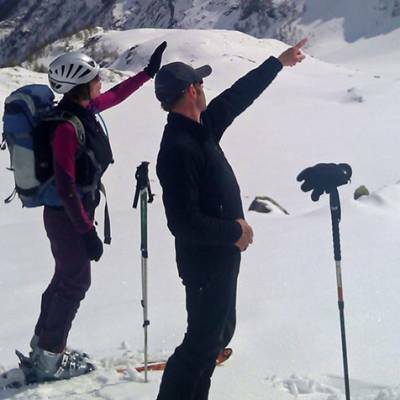 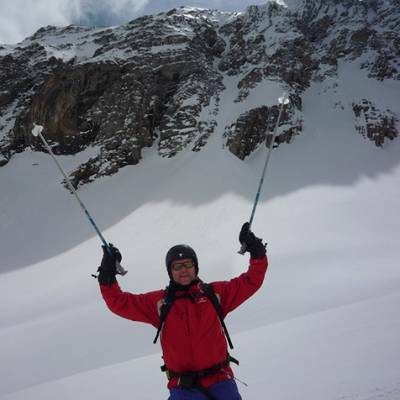 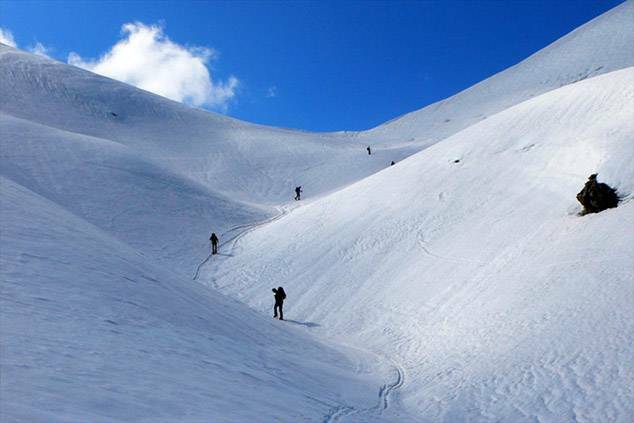 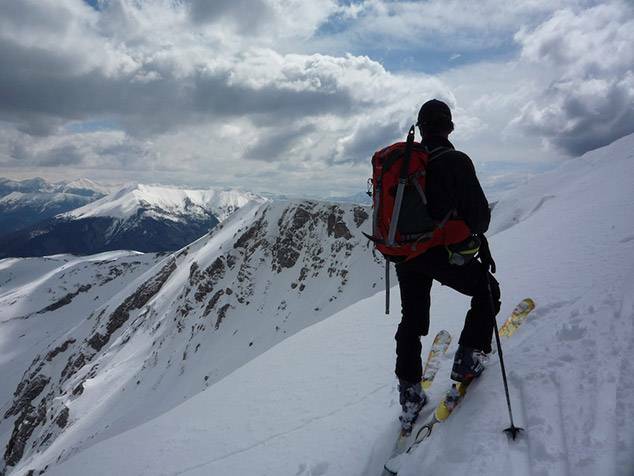 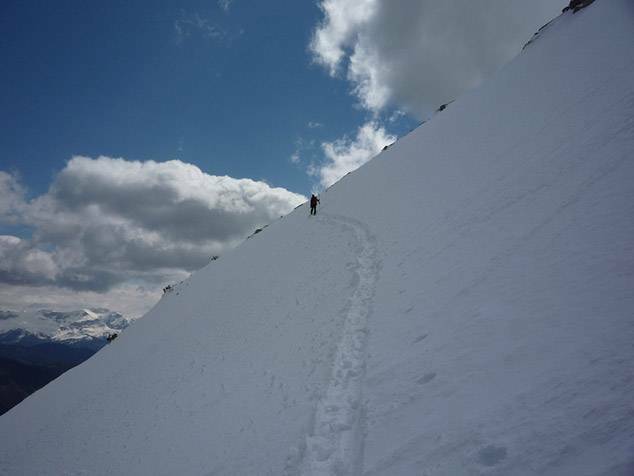 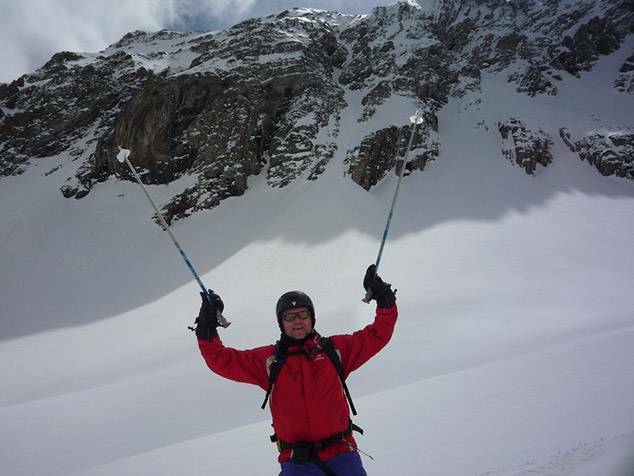 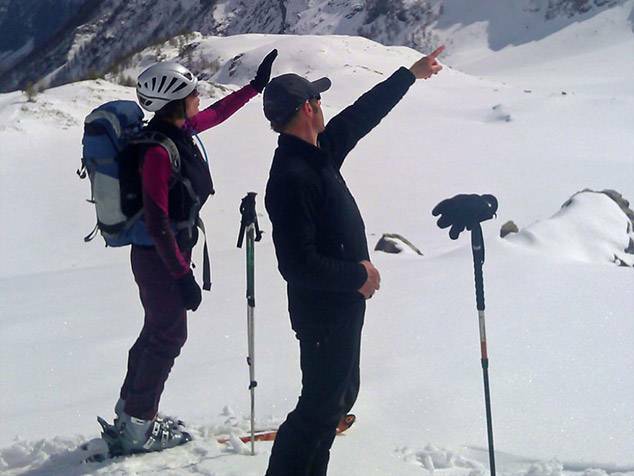 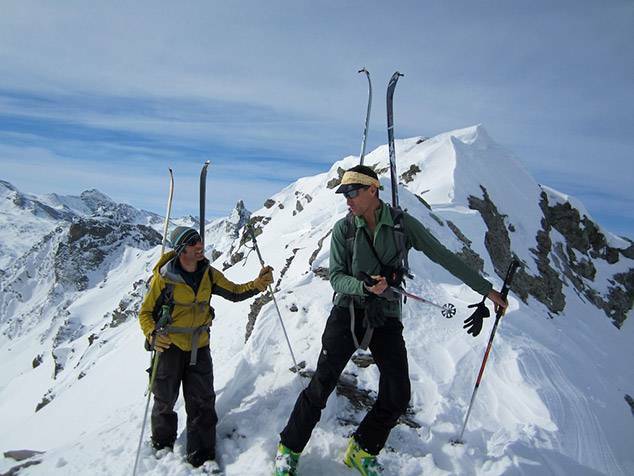 What is the difference between ski touring and ski mountaineering? 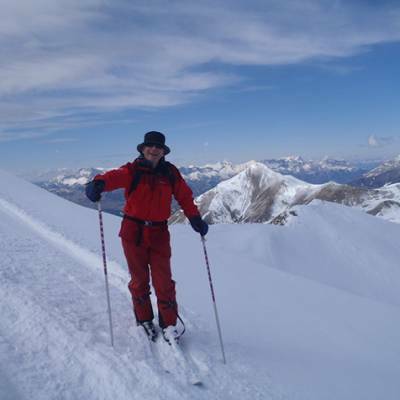 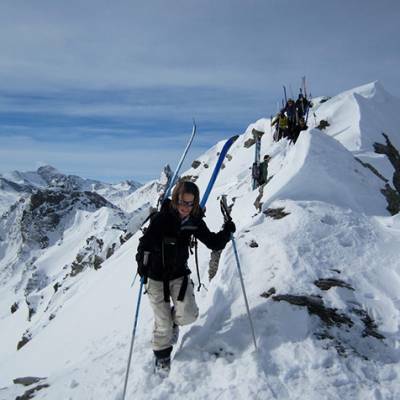 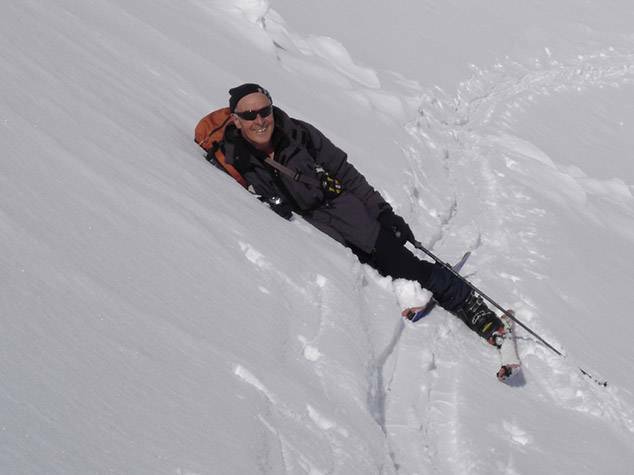 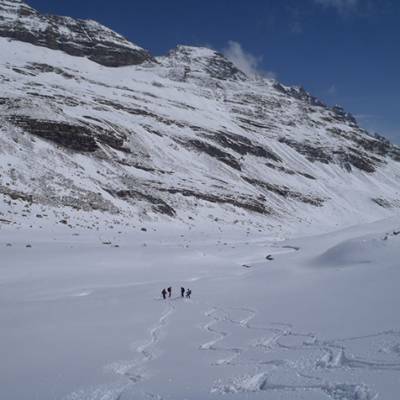 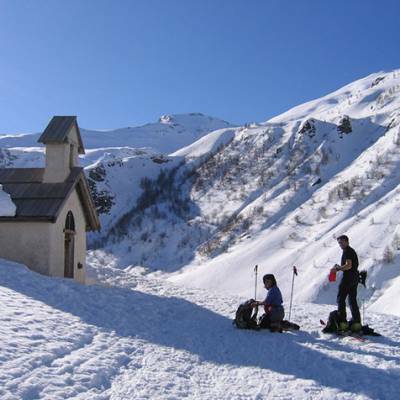 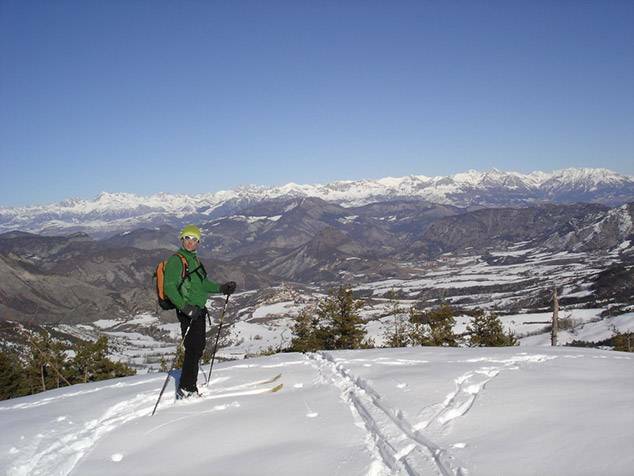 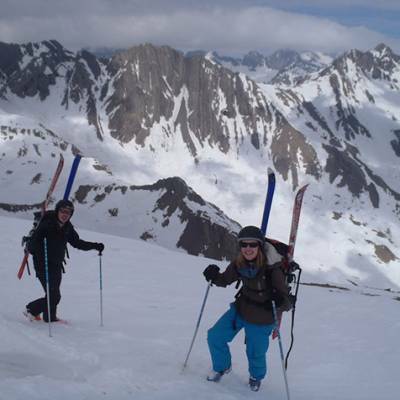 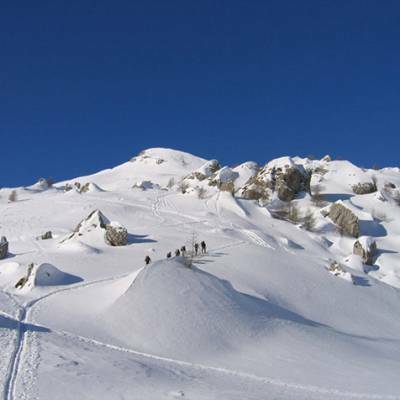 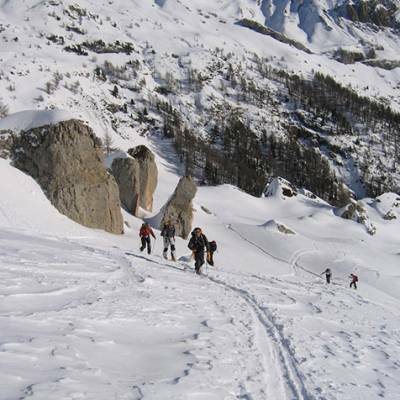 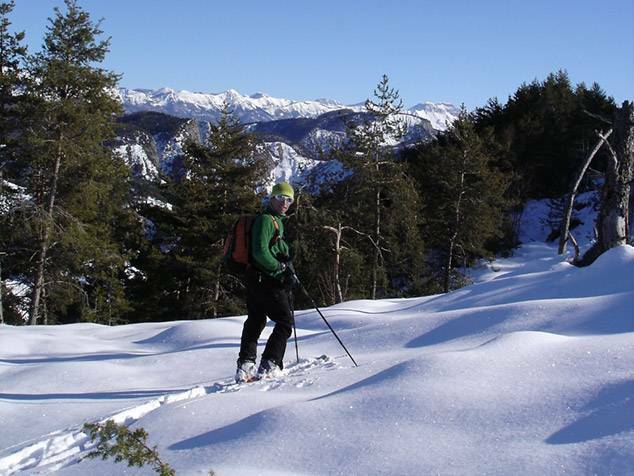 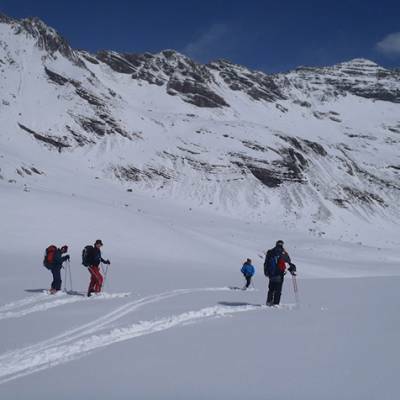 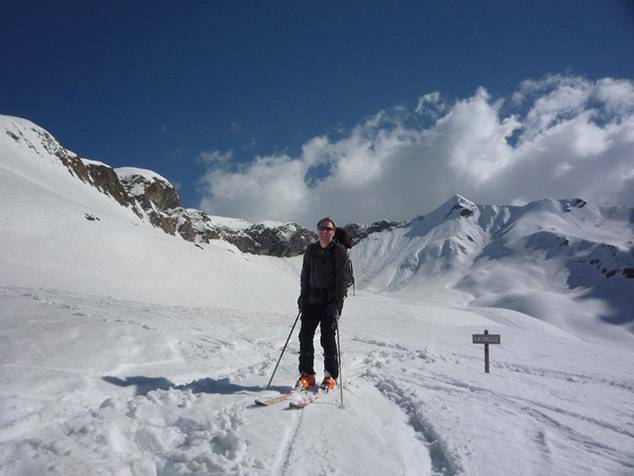 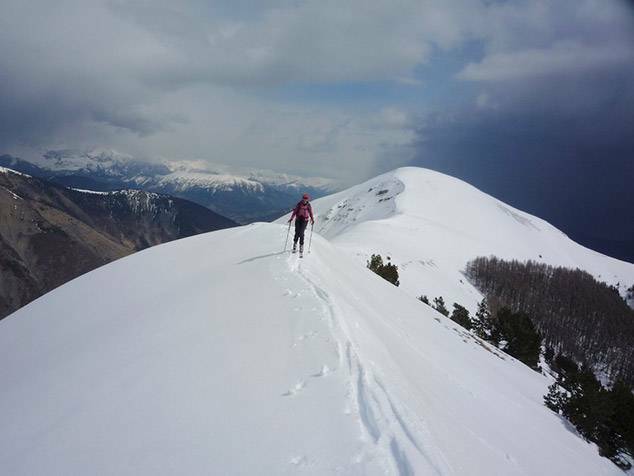 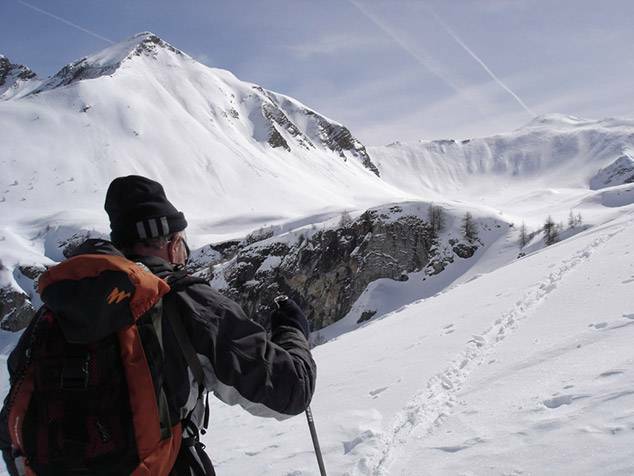 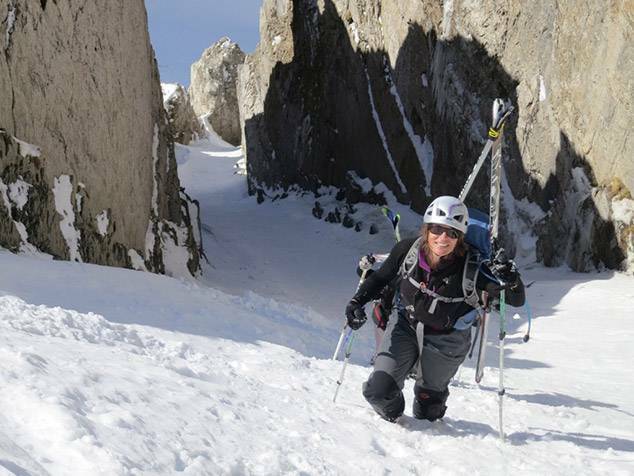 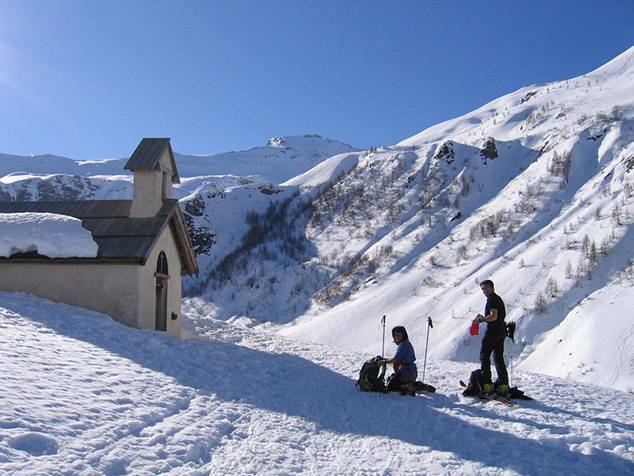 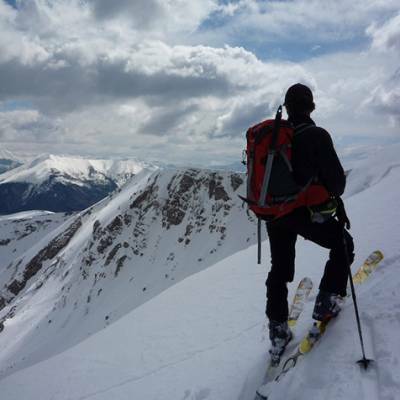 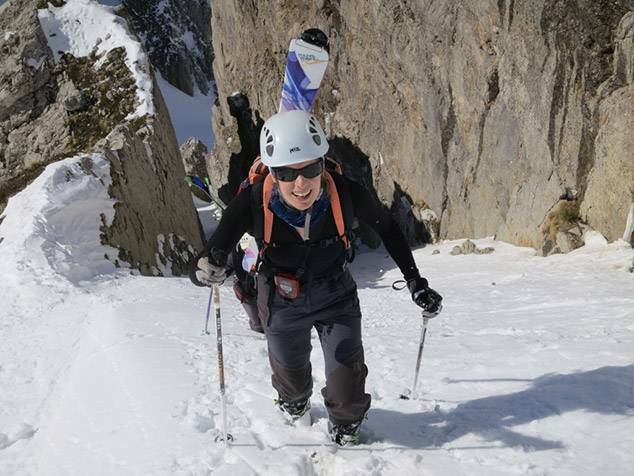 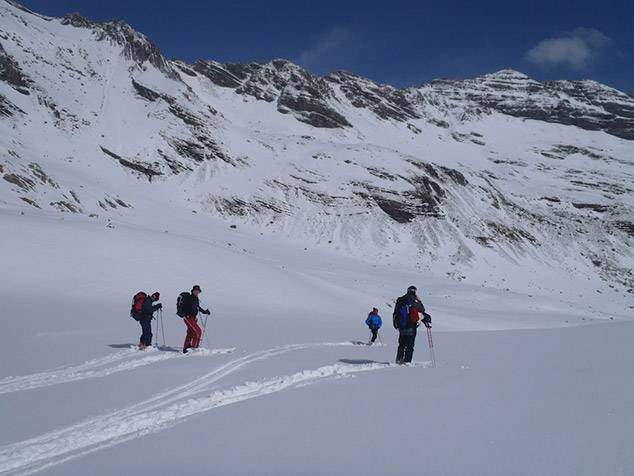 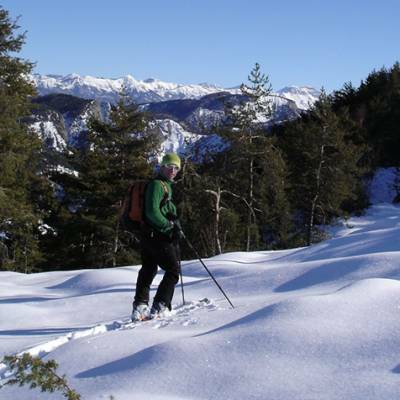 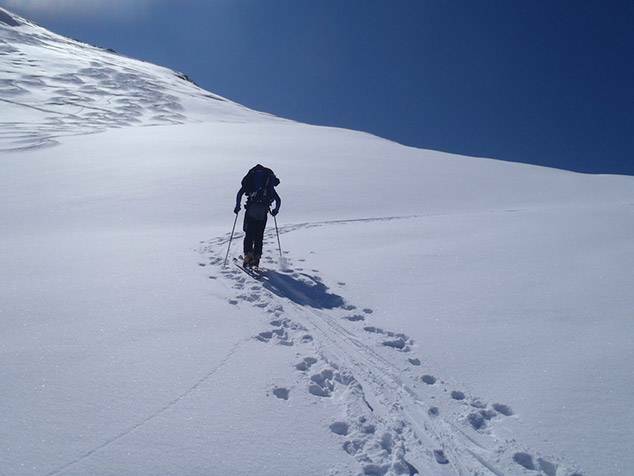 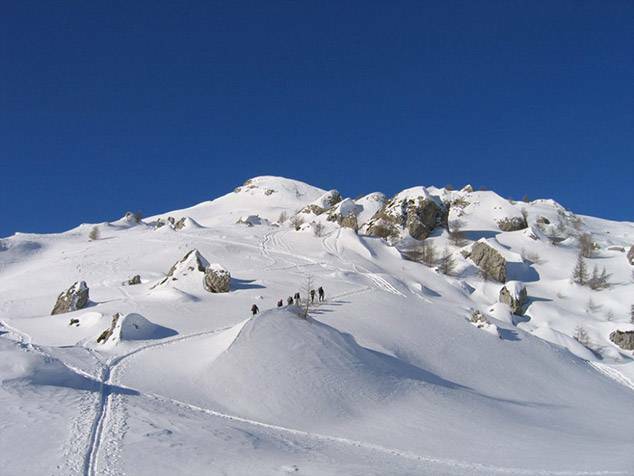 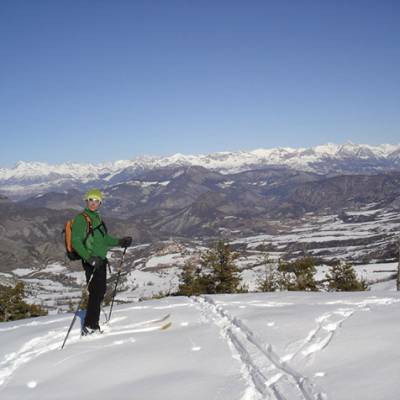 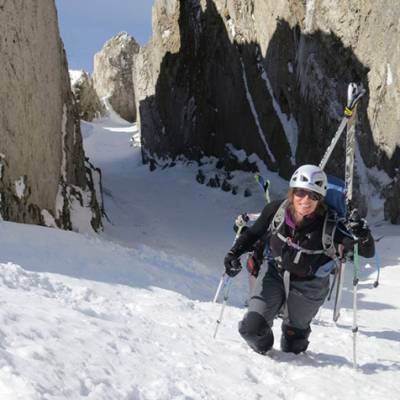 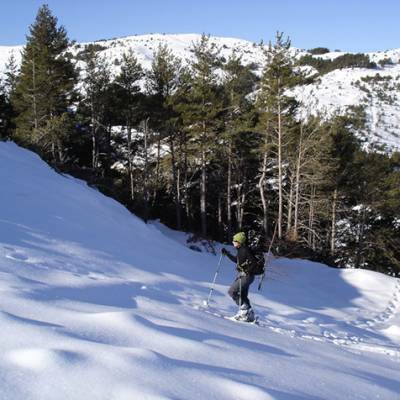 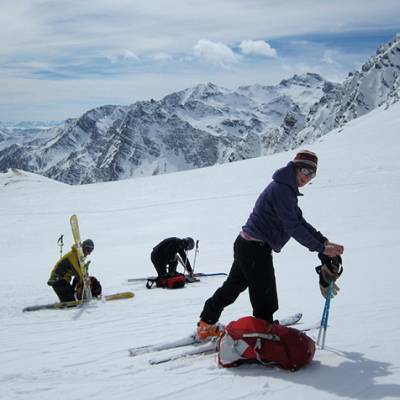 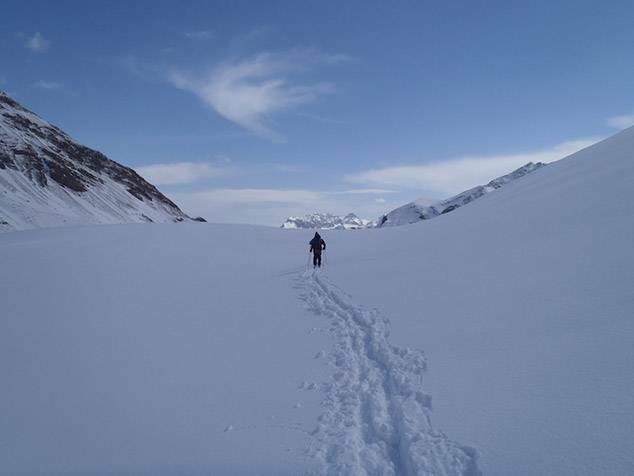 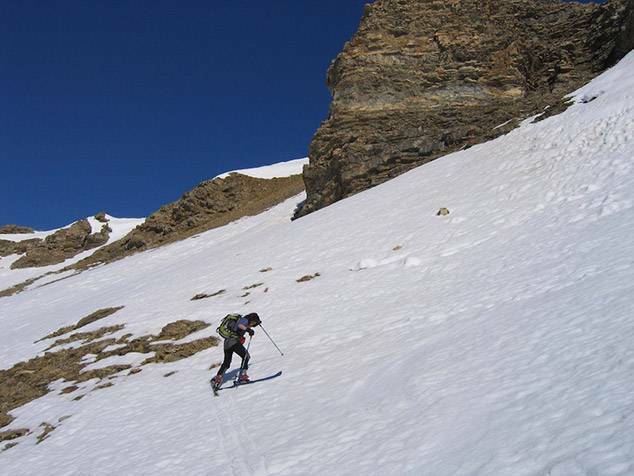 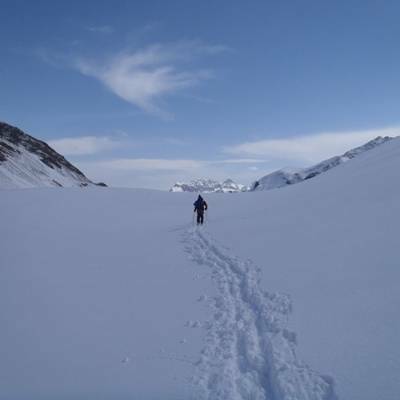 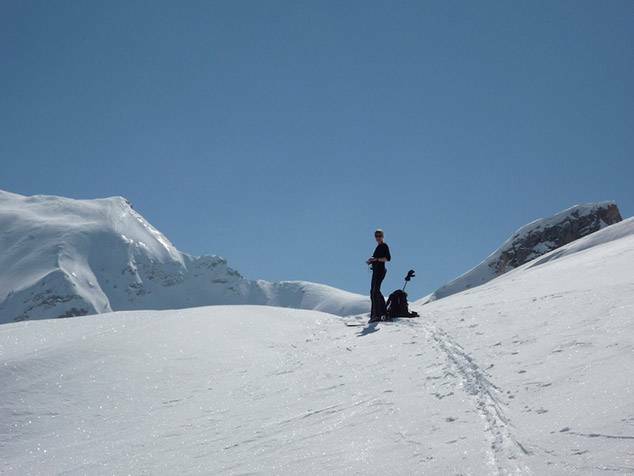 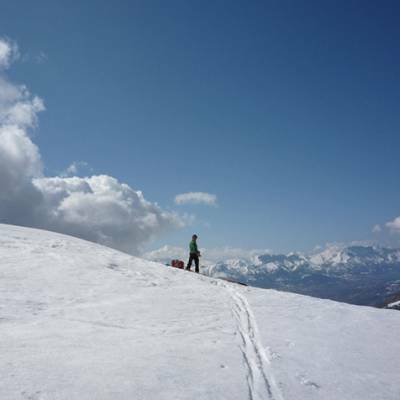 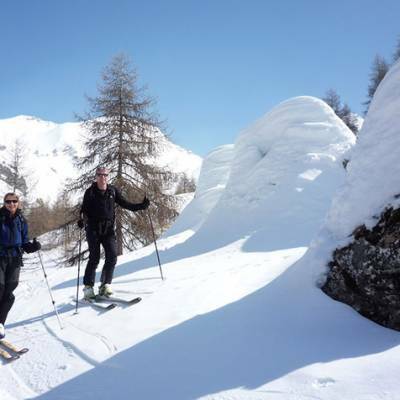 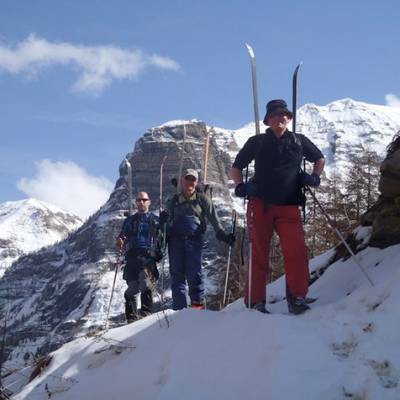 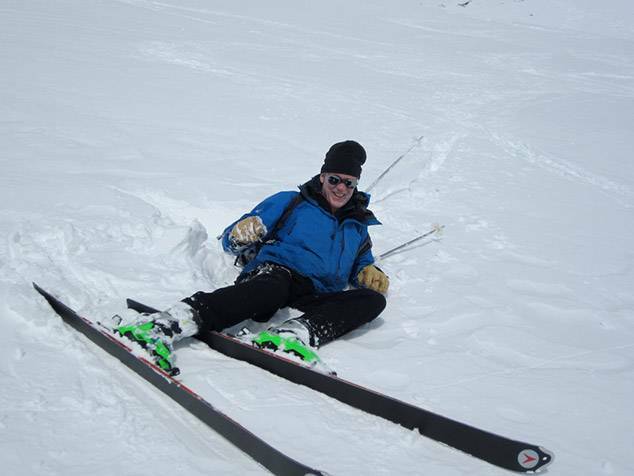 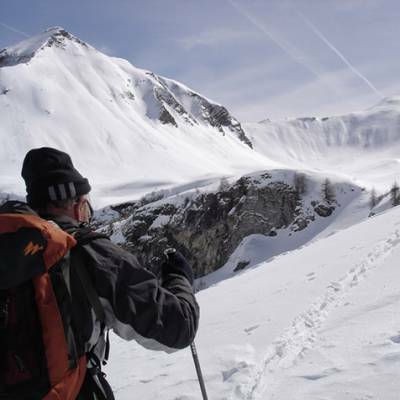 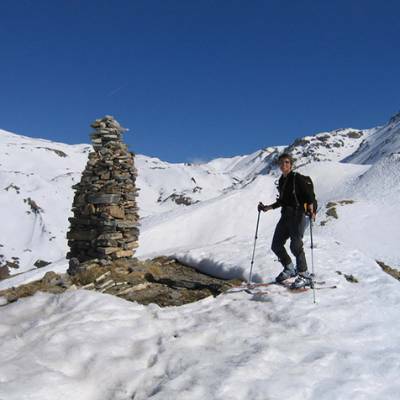 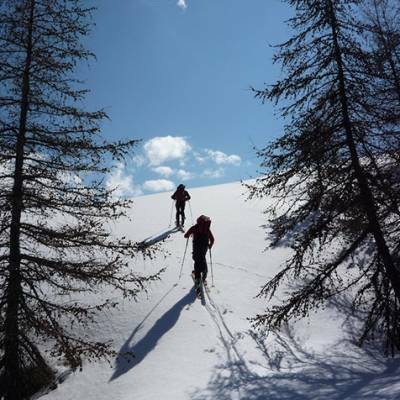 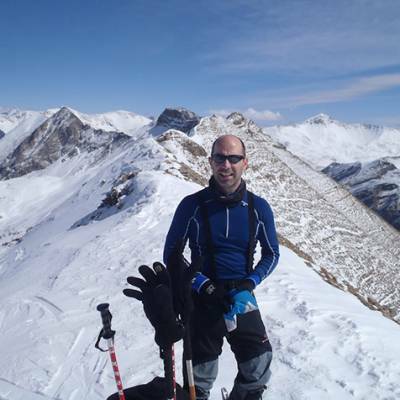 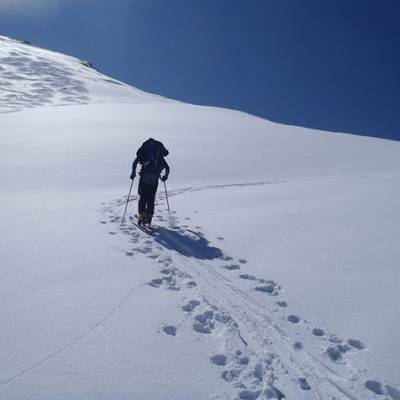 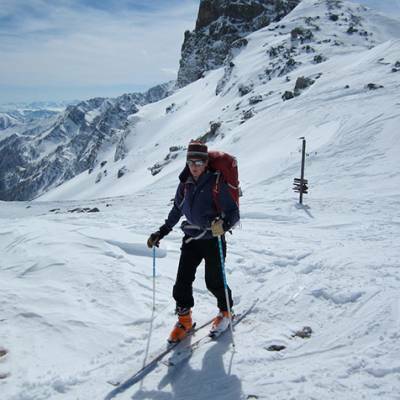 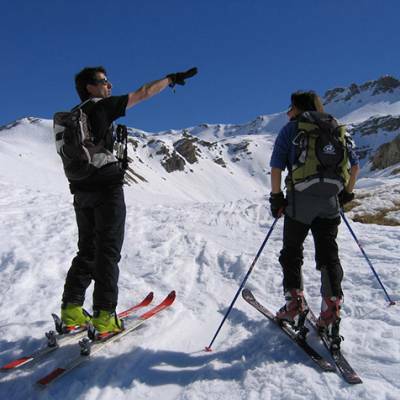 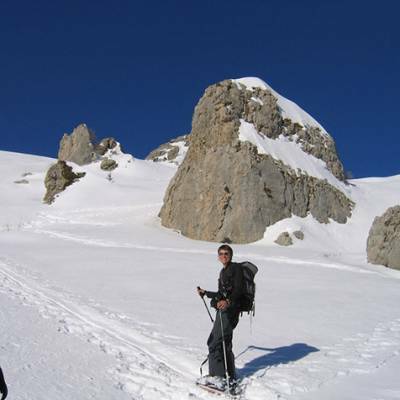 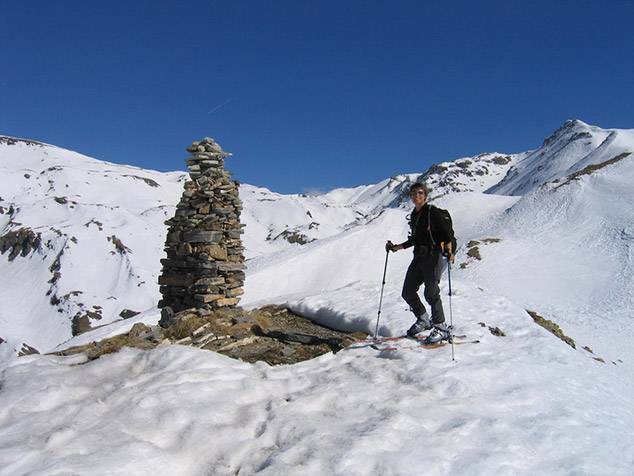 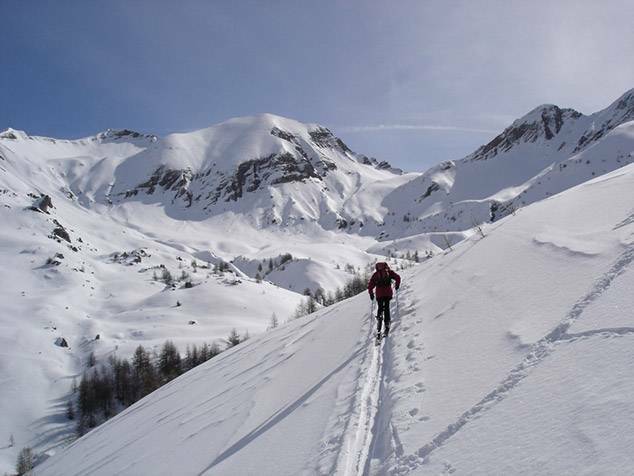 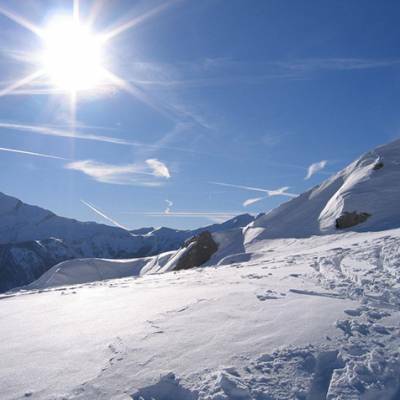 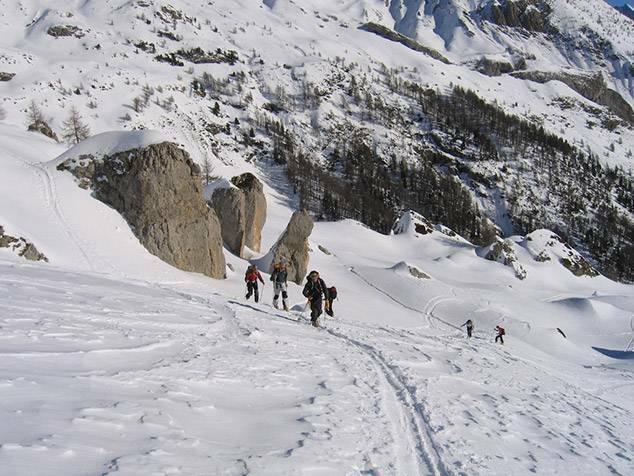 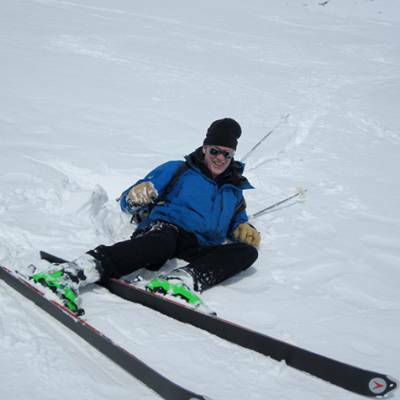 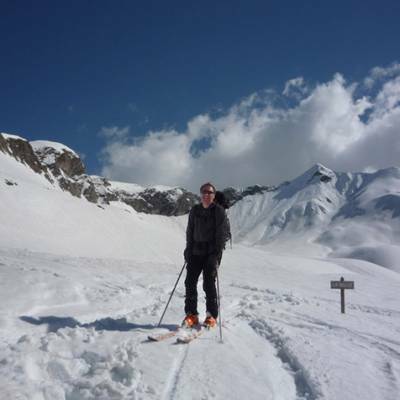 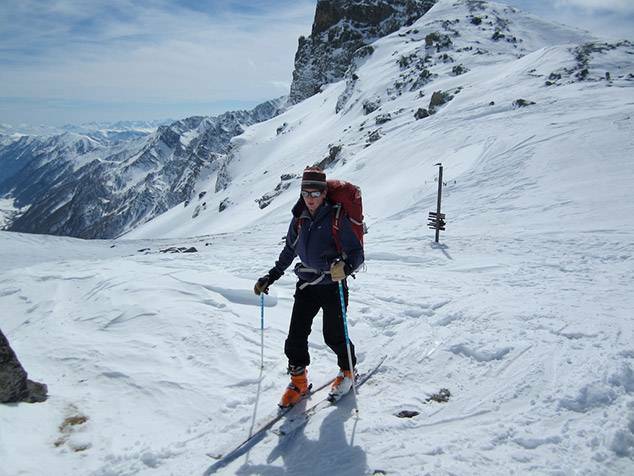 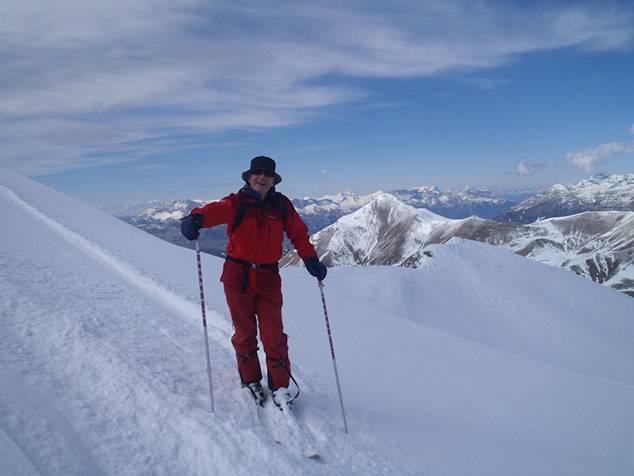 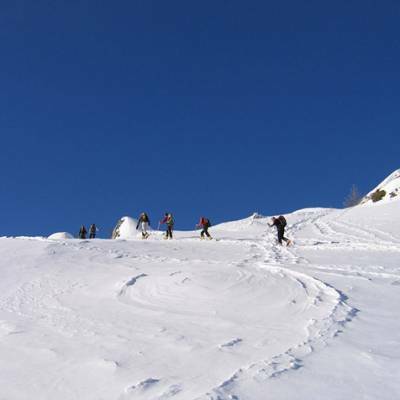 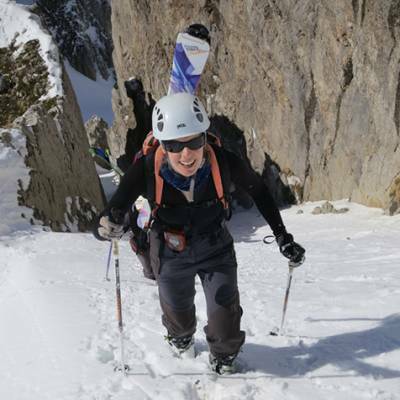 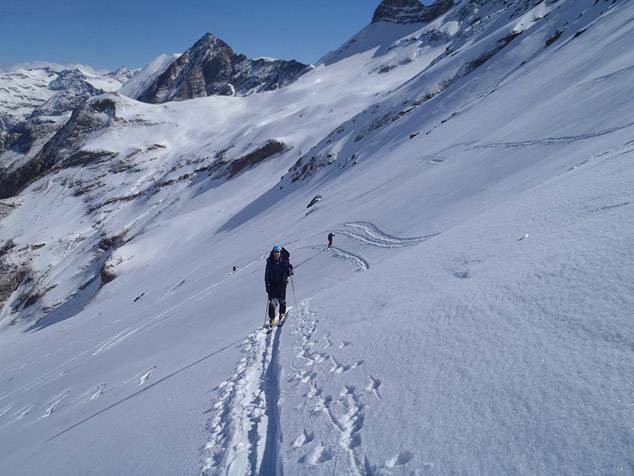 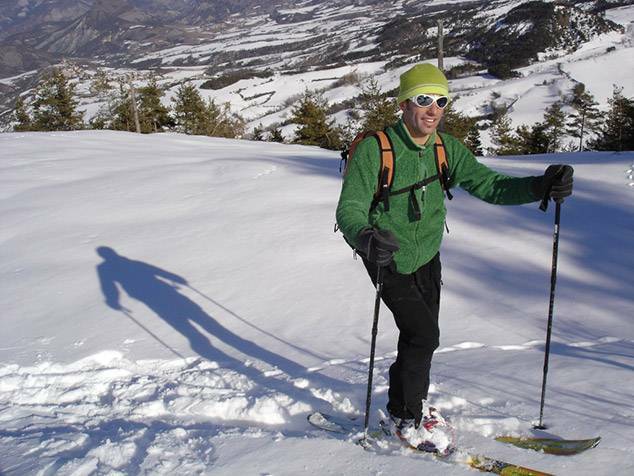 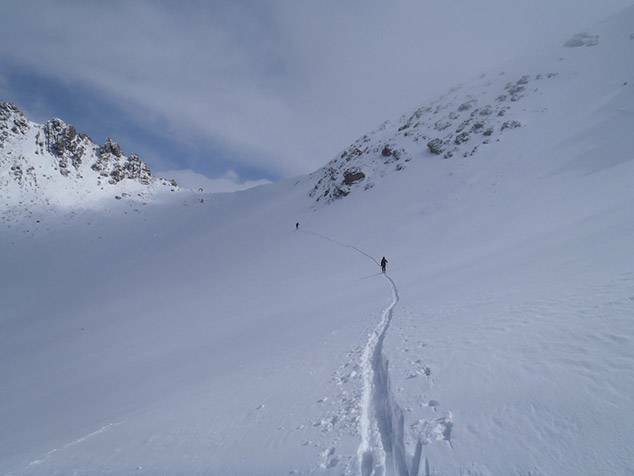 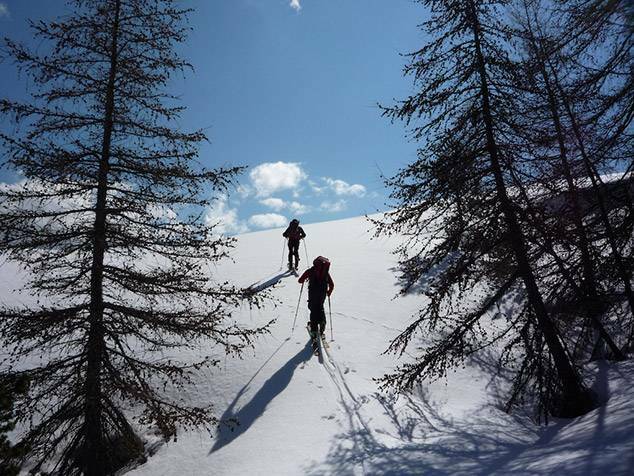 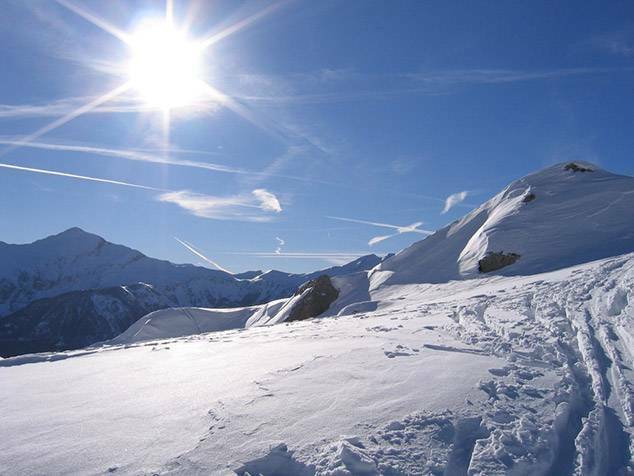 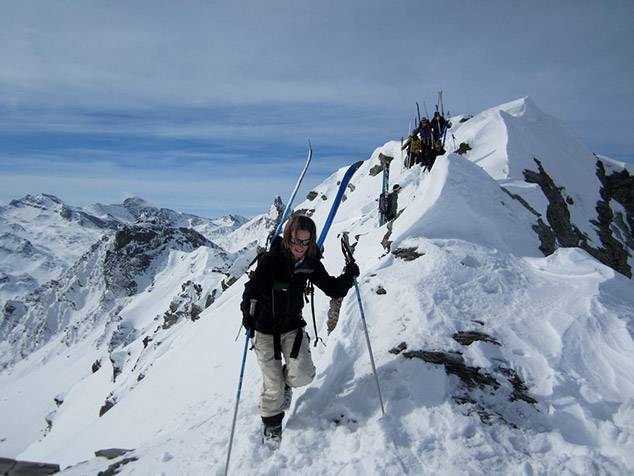 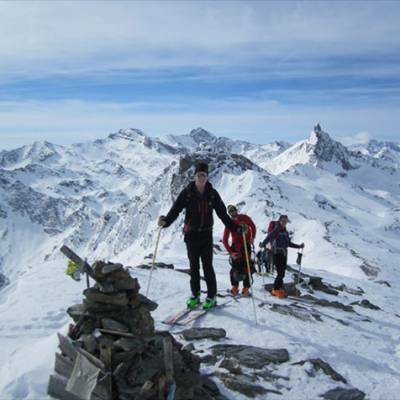 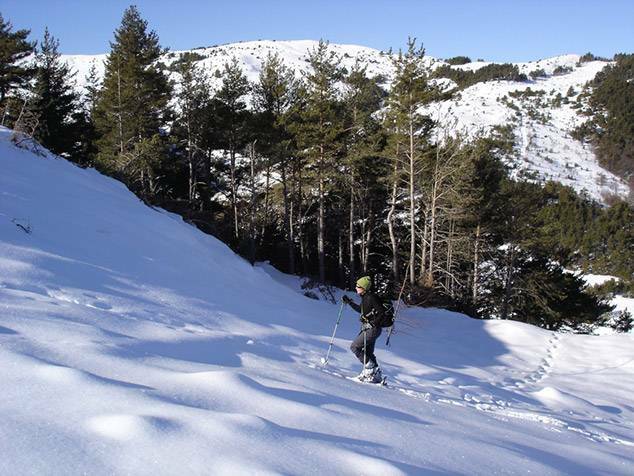 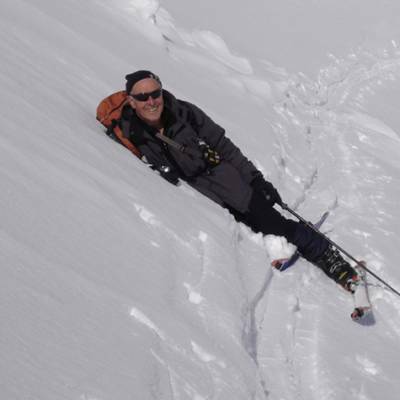 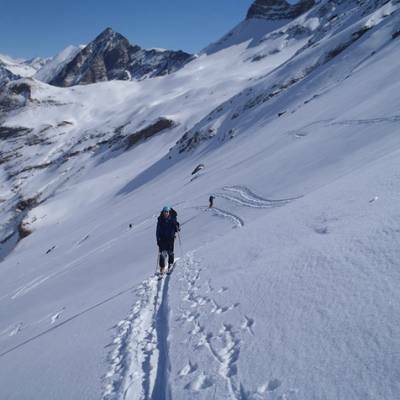 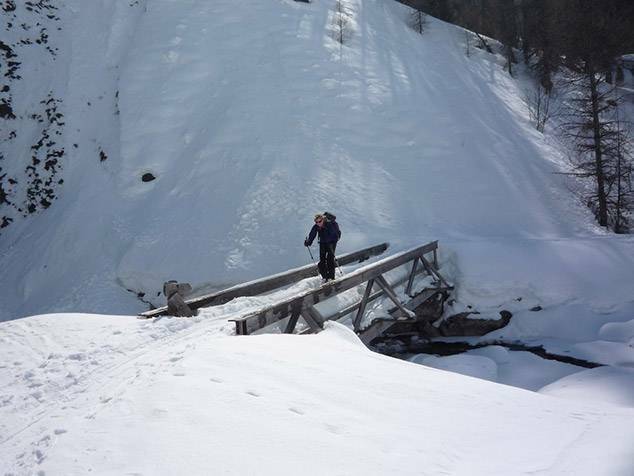 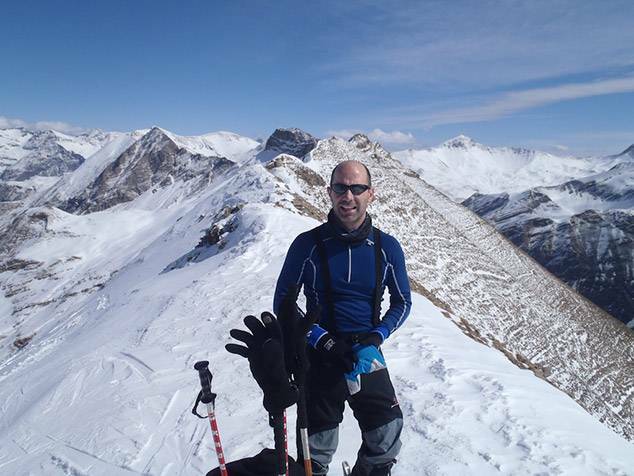 The main difference between ski touring and ski mountaineering is the technical difficulty of the tour but they are both essentially travelling through the mountains in winter and spring using specially adapted ski touring skis (more info on equipment can be found at the bottom of the page). 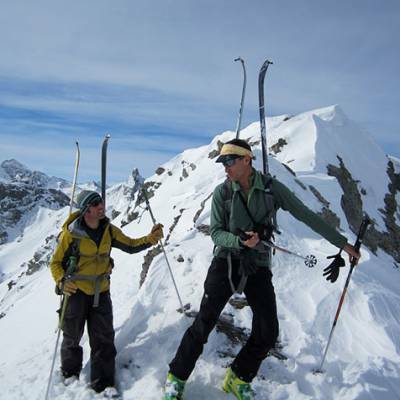 mountaineering, rather than ski touring category. 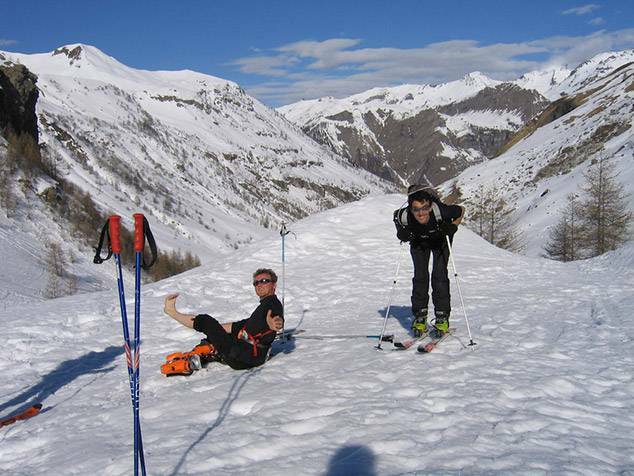 skiing in lots of different types of snow including some off piste. 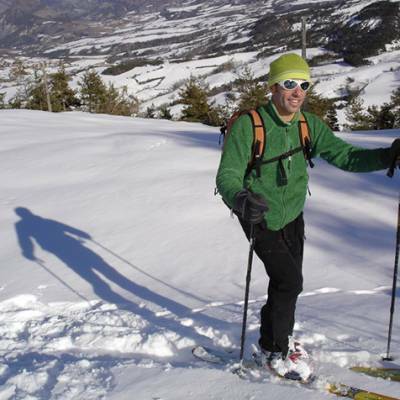 The other important factor is fitness. 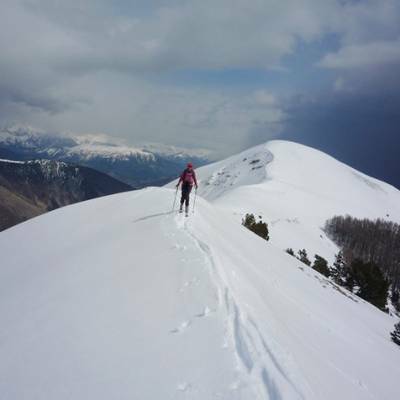 As you spend more time skinning up than actually skiing down, and can climb 600m to 1300m per day on an average ski tour, it is important to have a good level of cardio fitness! 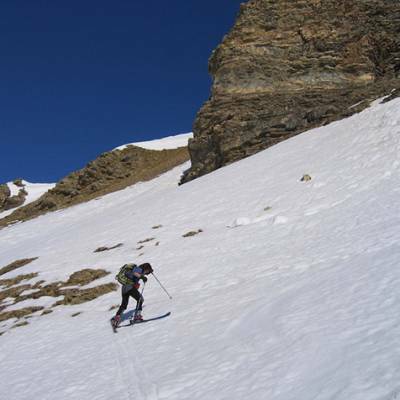 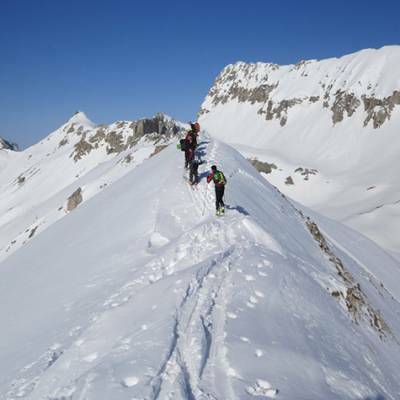 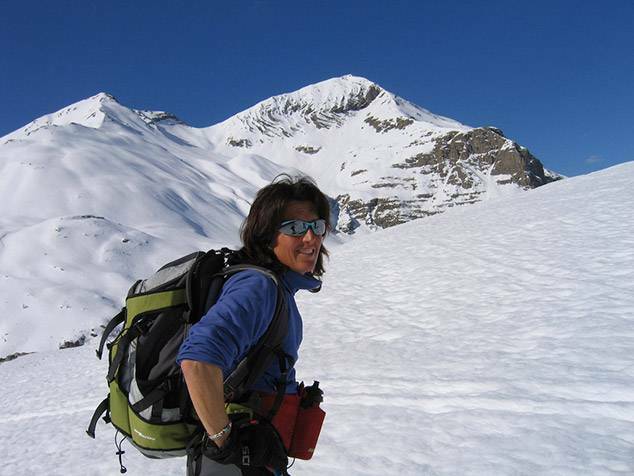 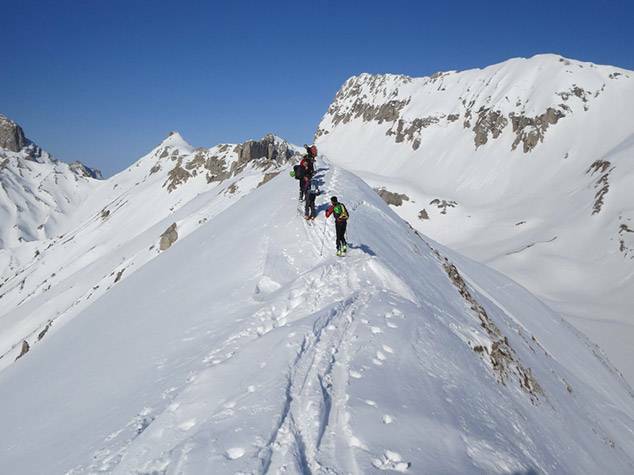 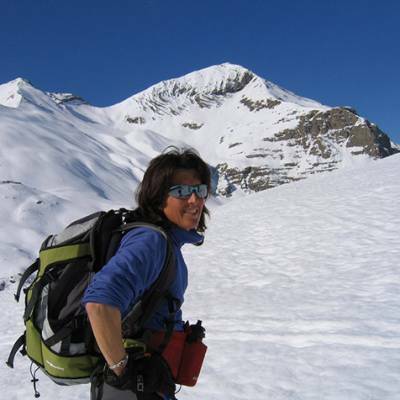 For ski mountaineering, some alpinism and mountaineering skills are also necessary. 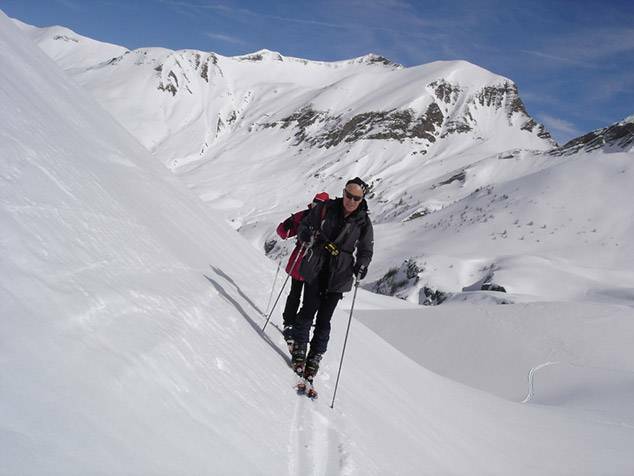 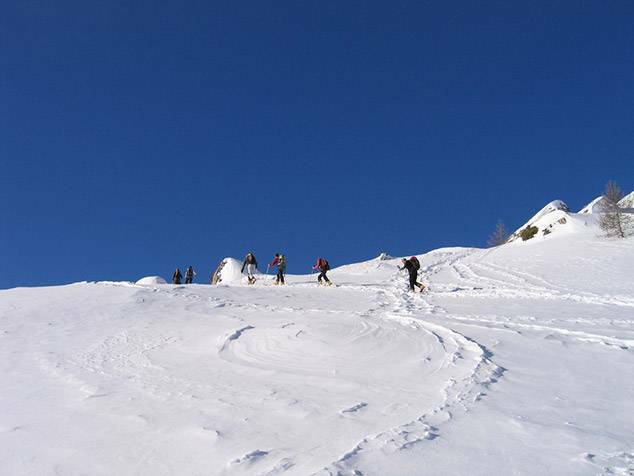 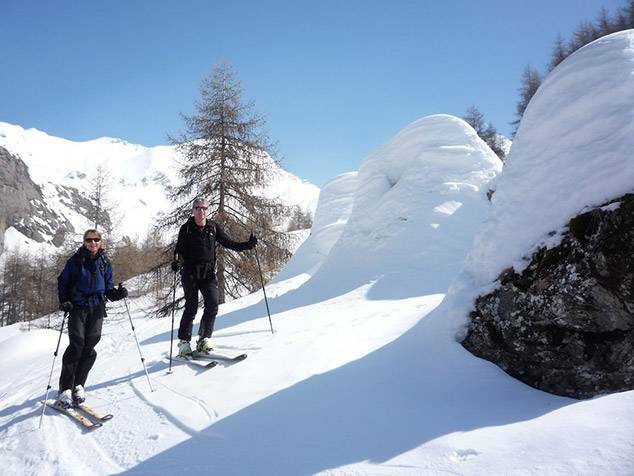 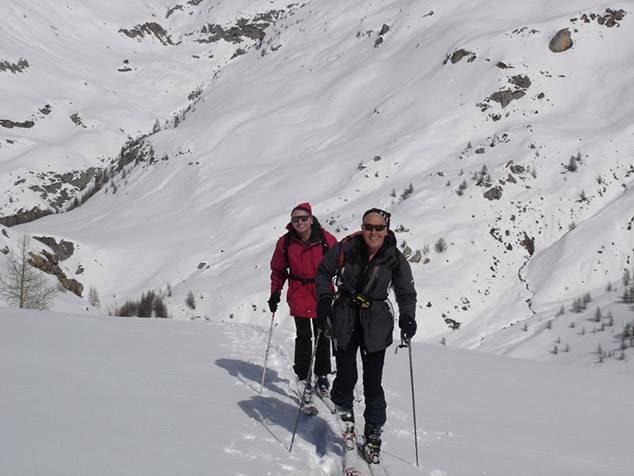 Ski touring is becoming more and more popular in the Alps. 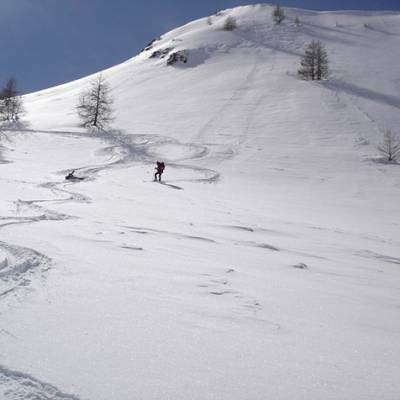 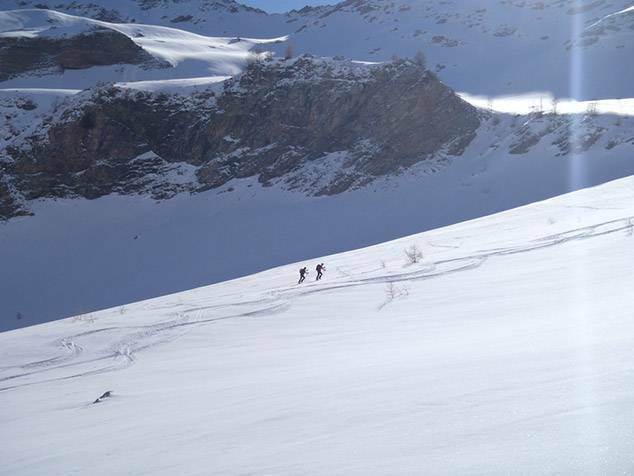 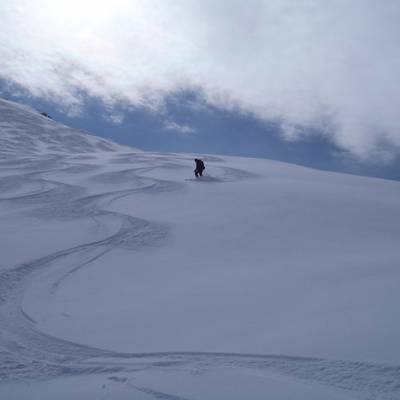 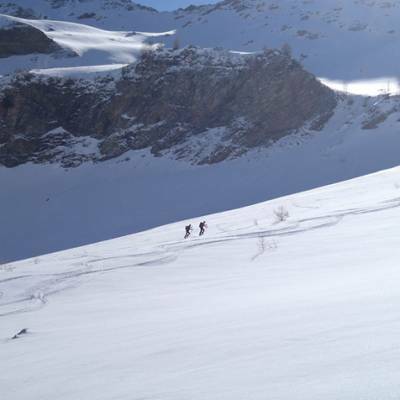 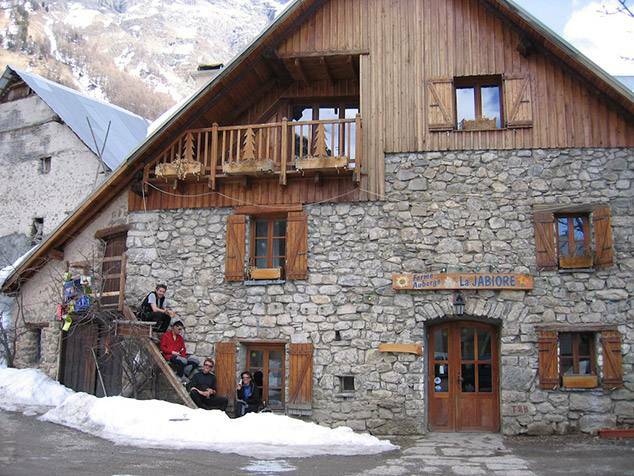 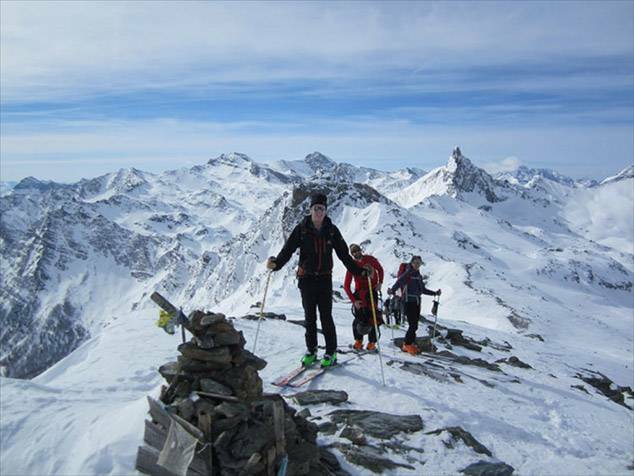 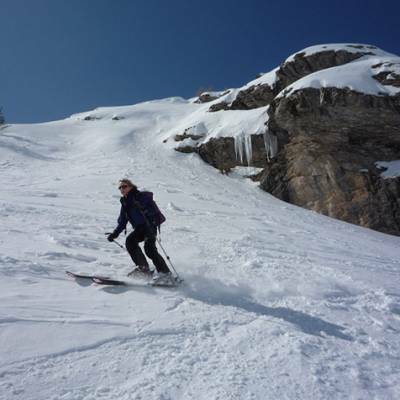 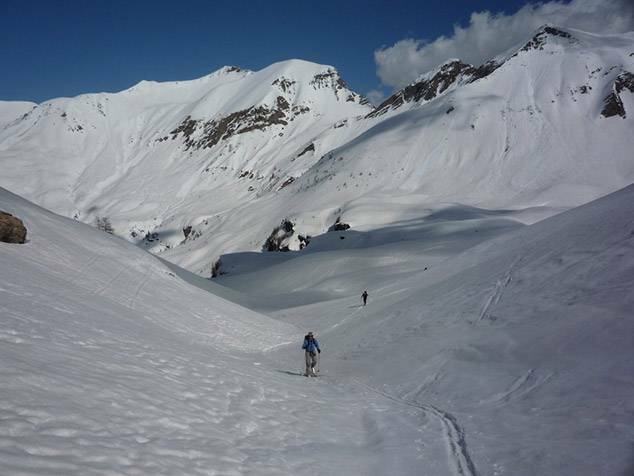 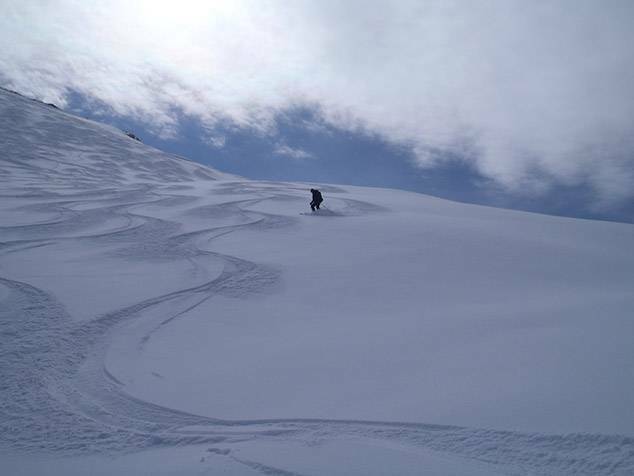 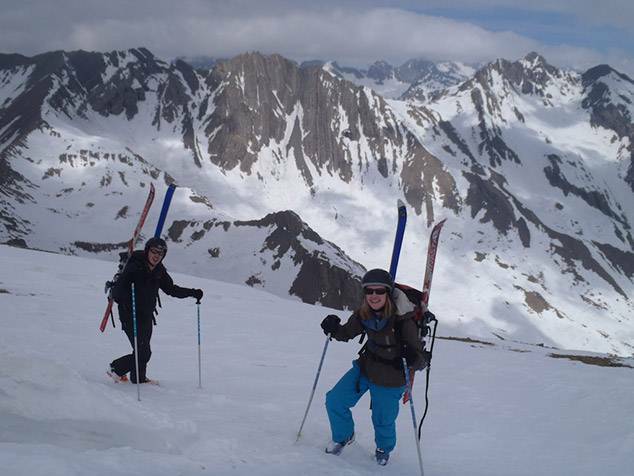 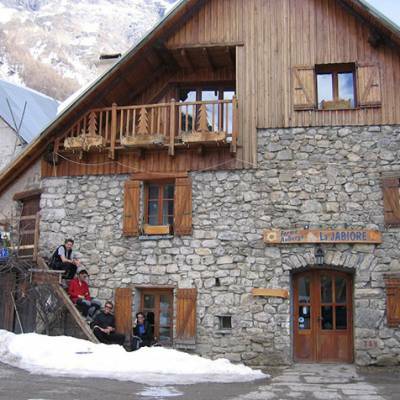 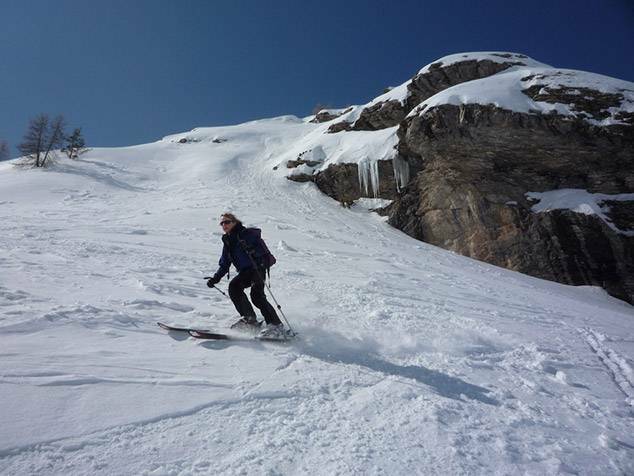 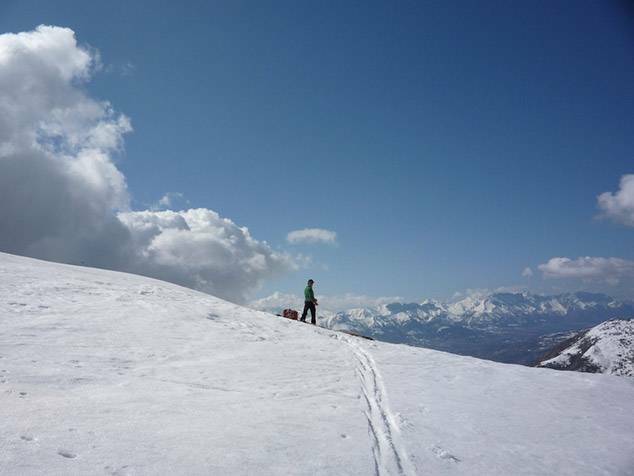 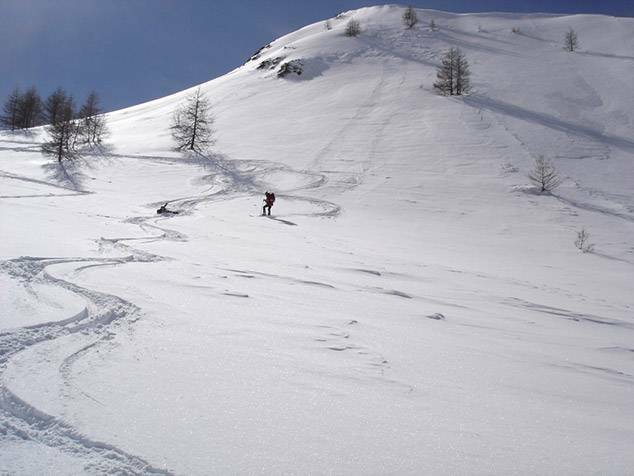 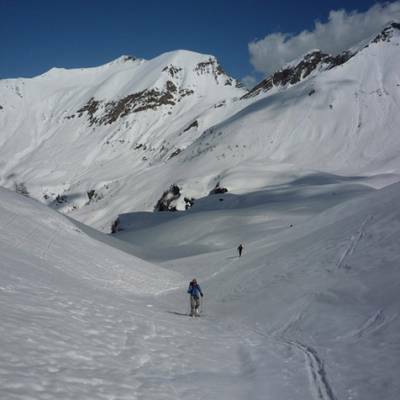 Read our blog article about why skiers are leaving the pistes in droves to try out ski touring! 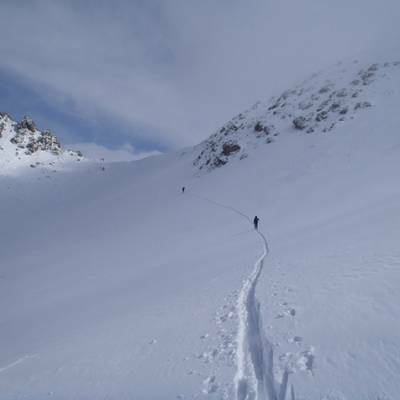 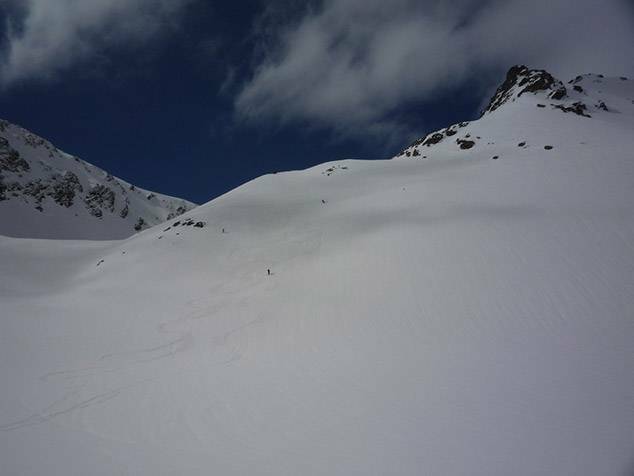 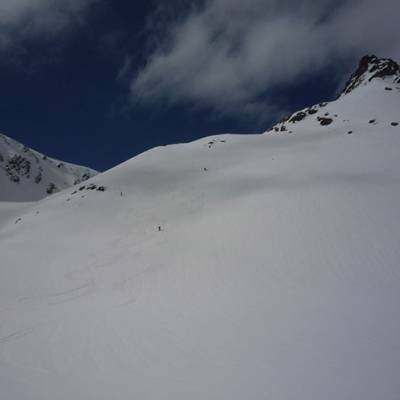 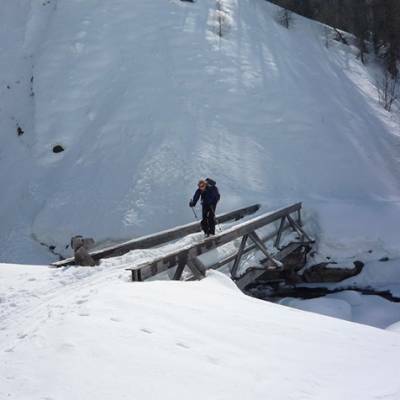 Both ski touring and ski mountaineering are dangerous sports as you are off piste in the mountains and there is a very real risk of avalanche and other mountain hazards. 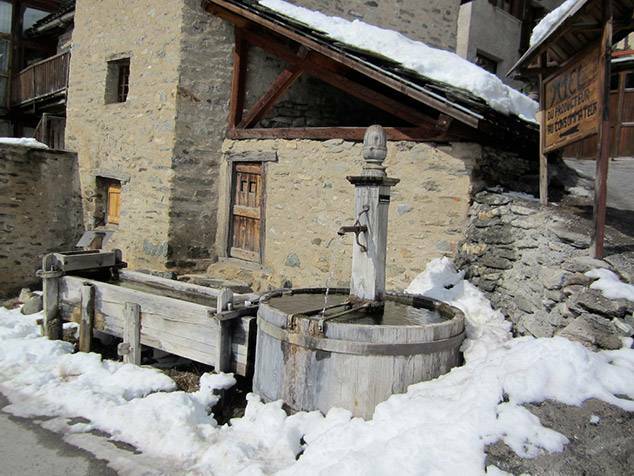 local experience is a serious plus! 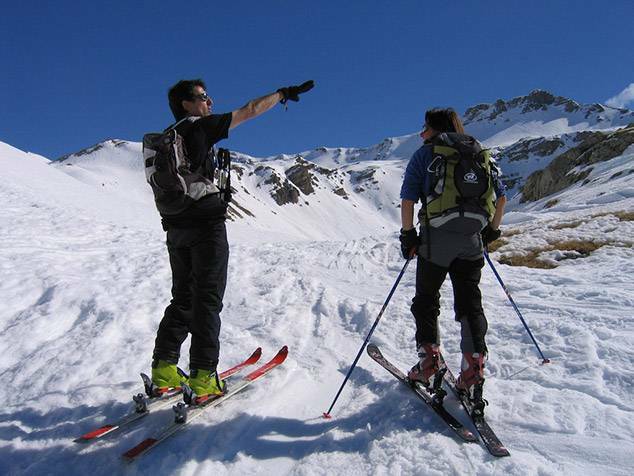 Ski touring skis are generally lighter than downhill skis with ski touring bindings (allowing you to have a free or fixed heel) and detachable skins which stick to the bottom of the ski for skinning up hill. 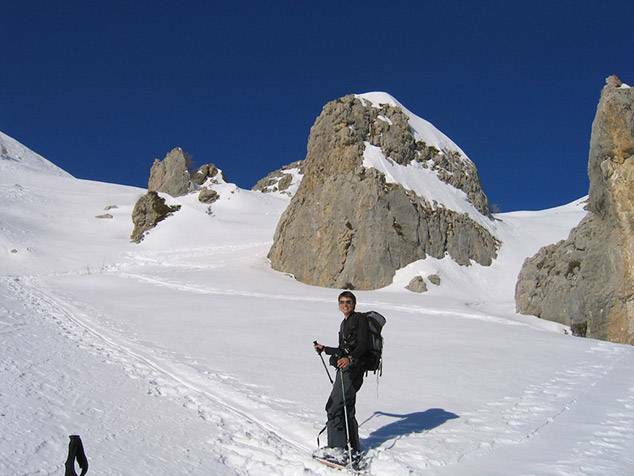 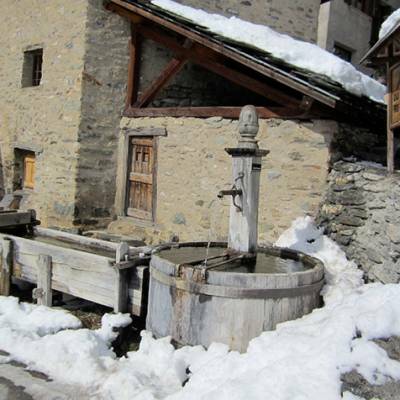 You also have 'couteaux' or ski crampons which attach to your skis for icy conditions. 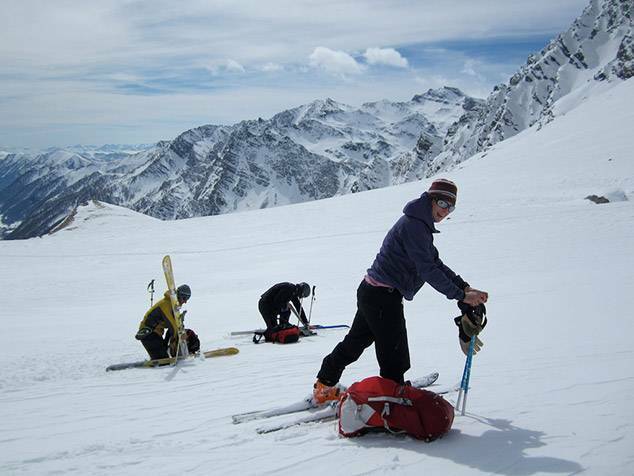 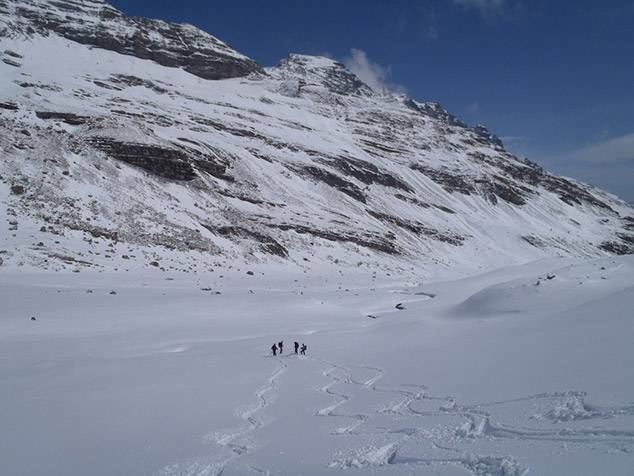 As you are off piste it is vital that you take a spade and probe and avalanche transceiver with you whenever you go ski touring. 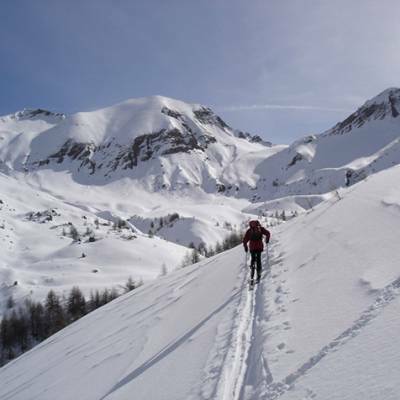 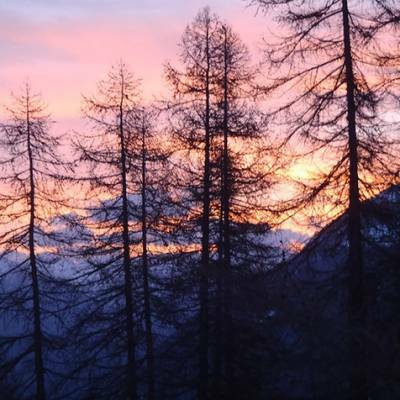 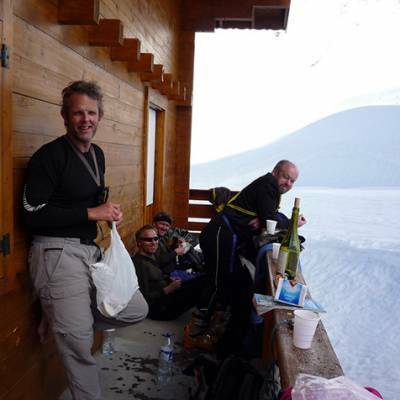 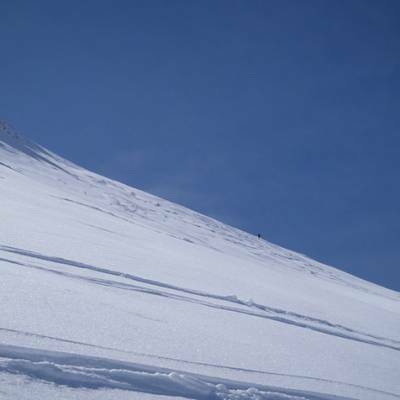 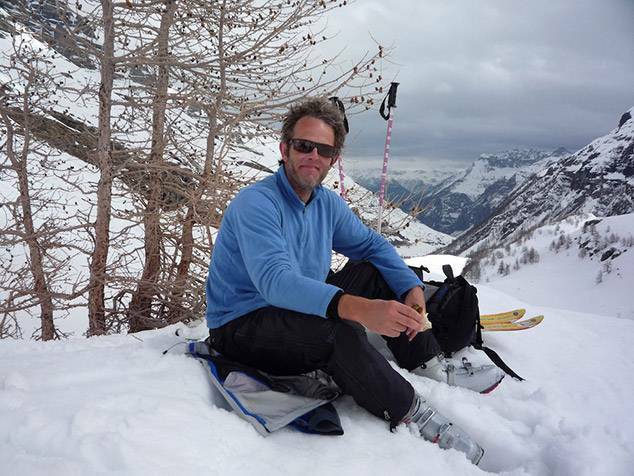 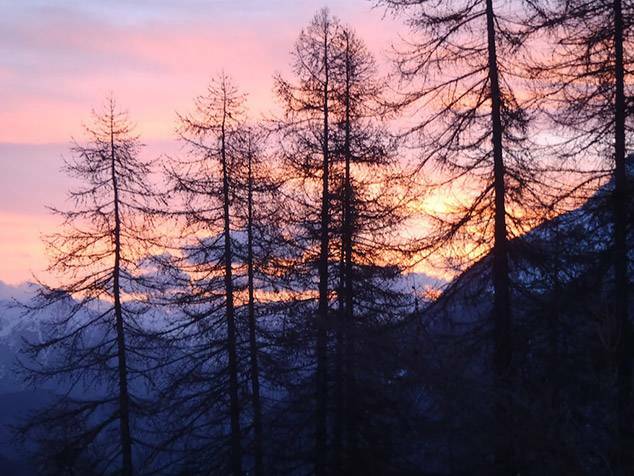 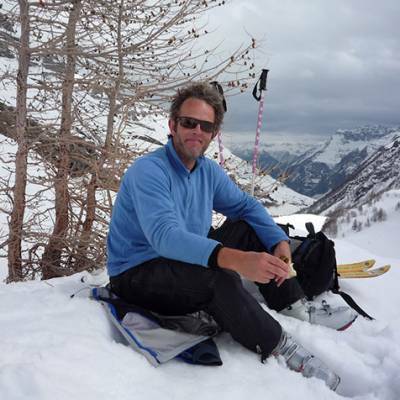 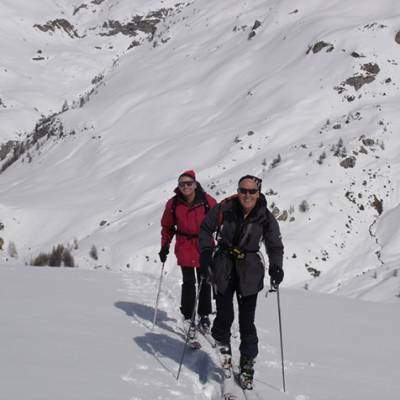 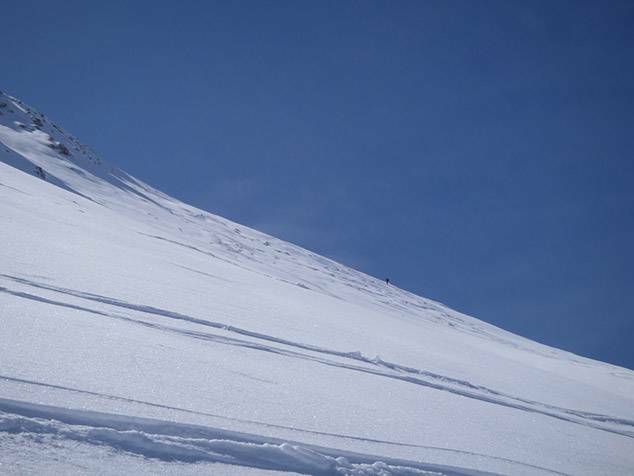 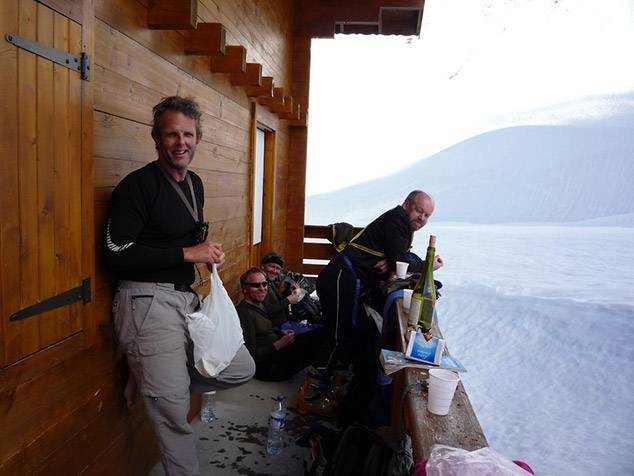 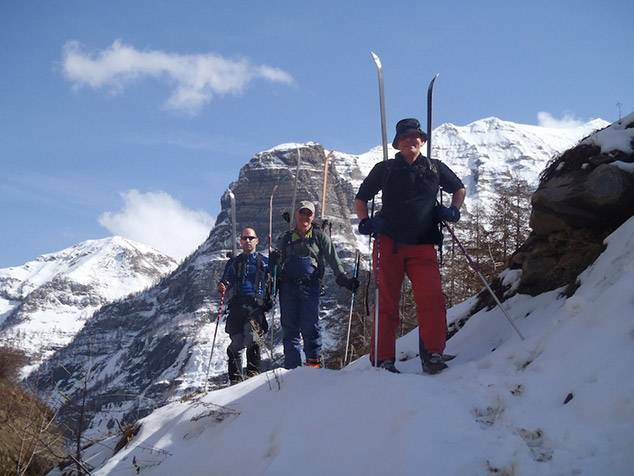 For more detailed information you might want to have a read of our blog - All about ski touring.